September 11, 2001 changed the face of international terrorism. The 9/11 al-Qaida attacks on New York and Washington marked a new era of international terrorism in terms of its scale, dissemination and unprecedented severity. The Paris Black Friday attacks perpetrated on November 13 by Islamic State terrorists constituted the most serious series of attacks in Europe over the last decade. Just as the 9/11 attacks forced the US government to reconsider its counterterrorism doctrine, the Paris attacks compel the French government, European states, and the entire Western world to examine the fundamental concepts that guide their counterterrorism policy. In this context, the following are some of the elements that must be defined: Who is the enemy? What is the rationale behind the terrorist activity? What are the motivations driving the terrorist actors? Which factors affect the scope and dimensions of terrorist activity? What are the capabilities and operational weaknesses of the terrorist organization? The goals at the foundation of the counterterrorism policy must be set, and from them the missions of the security forces, intelligence agencies and other relevant government officials can be derived. Decision makers in countries affected by terrorism tend to make threatening public statements following the occurrence of major terror attacks, sometimes even declaring war against the terrorist organization that carried out the attack. After the September 11 attacks, the US declared war on al-Qaida, in February 2015 US President Barack Obama requested Congress’s approval for a war against Islamic State, and French President François Hollande declared war on Islamic State after the Paris attacks. A definition of the enemy that focuses on one terrorist organization or another may be easier for decision makers, but it betrays reality. Most terrorist organizations active in the local or international arena – Islamic State, al-Qaida, Jabhat al-Nusra, Boko Haram, al-Shabaab and others – strive to topple the regimes they are working against and build an Islamist caliphate state ruled by Shari’a law. These organizations may differ from one another with regard to the focus or sequence of their activities (for example, whether to focus on local or global Jihad, on the more distant enemies of the West or the nearer enemies of the Islamic countries and traditional regimes). In any case, though, the enemy is not one terrorist organization or another, but rather the religious-political Islamist jihadist ideology underlying their actions. So even if Islamic State is defeated, its ideology will live on in whatever organization takes its place, unless the dangerous tenets of Islamist jihadism are dissolved. In dealing with the controversy revolving around terrorists’ motives, one has to distinguish between two types of causes: root causes and instrumental causes. The root cause is the reason why the terrorist organization was established and why it operates, and is usually found in the organization’s ideological platform. The instrumental cause serves as a catalyst for recruitment and support for the organization, and is likely to vary based on changes in the circumstances and needs of the terrorist organization. The Swedish foreign minister’s statement reflects a lack of understanding of and confusion between the root causes and instrumental causes. The Israeli-Palestinian conflict (as well as the causes of poverty, occupation, oppression and lack of education) was not the root cause of the Paris attacks, nor of other terrorist attacks by Islamist jihadist organizations. Israel is not the root cause of processes of radicalization in the Muslim world. The root cause, as mentioned, is the radical religious ideological worldview based on a dangerous interpretation of Islam. All other causes are instrumental causes that serve as catalysts for recruitment, brainwashing, and calls to action. Therefore, it should be clarified to the Swedish foreign minister and her ilk that even if the instrumental causes of the Israeli-Palestinian conflict ended with a peace agreement, or if the State of Israel ceased to exist, it would not stop radicalization processes in the Muslim world, nor would it prevent Islamist jihadist terrorist attacks in Europe. On the contrary, the annihilation of Israel would accelerate the establishment of an Islamic caliphate throughout the Middle East, add fuel to the fire of radical Islam, and reinforce the global jihadist struggle. Not only is Israel not the cause of Islamist radicalization processes, but it is the long arm of the Western world, stemming the tide of radical Islam and acting as a buffer between it and Europe. It would seem that decision makers in the Western world do not adequately recognize the need to tackle the Islamist jihadist ideology behind terrorist organizations and their causes. In most cases, their tendency is to simplify the complex picture. 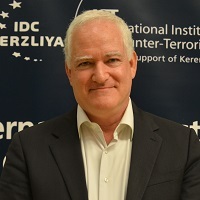 For example, the emerging trend in the Western world today is to change the international discourse from “counterterrorism” to “countering violent extremism.” This trend is profoundly dangerous because it reflects a politically correct Western approach aimed at mobilizing the Muslim majority against Islamist jihadist terrorism, without linking between the two issues – the religious cause and the violent result. The attempt to rally the moderate Muslim majority to combat Islamist jihadist ideology is most welcome and extremely important, but it must not be done in fear, self-effacement or appeasement of Muslim nations and communities around the world. Instead, an honest, open, and courageous conversation should be held with the Muslim majority, calling things as they are, and joining forces to deal with the Islamist religious root causes of global and local terrorism. Western governments should pronounce publicly that the issue is not the religion of Islam, or any another religion, but that there is a grave problem today in Islam that gives rise to terrorism, political violence and atrocities that have not been seen in modern times. The moderate Muslim majority must rise against the loud and dangerous minority that is hijacking Islam from them, because if they do not, these moderate Muslims are the ones who will pay the price, both in Muslim countries and in the West. This is not a favor that the Muslims should do for the Western world. They must save Islam from the Islamist jihadists and prevent the Islamophobic reaction that follows. The phrase “countering violent extremism,” therefore, is in itself contrary to this important goal. The mobilization is not against any violent extremists, but against the Islamist jihadists who use terrorism in order to realize their religious-political aspirations. Arab and Western heads of state may be surprised to discover that the moderate majority in the Muslim world identifies more easily with the struggle against terrorism than with the fight against violent extremists. The fundamentalist belief in a divine decree that instructs believers to spread the radical Islamic worldview throughout the world by using extreme violence and terrorism. Belief in jihad makes the operators particularly dangerous, because one cannot argue with or compromise on so-called God’s will, and fulfilling it requires them to conduct all-out war. This ideology brings together a broad network of fundamentalist Islamic terrorist organizations from many countries, independent networks of activists in Muslim communities, and young Muslims or converts to Islam who have undergone a process of radicalization and are incited to carry out lone-wolf attacks. These activists are using, inter alia, the modern terrorism technique that has proven more “successful” than others: suicide terrorism. As a result of their radical religious beliefs, they revel in these types of attacks, as they believe that they are not truly dying – let alone committing suicide, which is prohibited by Islamic law – but in fact performing an act of martyrdom (istishhad) that guarantees life in heaven. Unlike the activists who carried out terrorist attacks over the last century, who were mainly middle-class students motivated by various radical ideologies without training or operational experience, a significant portion of today’s radical-Islamic terrorists have acquired knowledge and experience as foreign fighters in various jihadi arenas, such as Syria, Iraq, Libya, Sinai, or in the past, Afghanistan. Members of these organizations and networks, as well as lone wolves, may therefore have personal connections and associations based on their experiences in these jihadi arenas. Factors affecting the scope and magnitude of terrorism To determine the objectives of a counterterrorism policy, one must first identify the factors that influence the scope and magnitude of terrorism. Terrorist organizations do not operate in a vacuum, but are influenced by their surroundings. Among the environmental factors that influence the violent activities of a terrorist organization are: The international system: Terrorist organizations acting in order to achieve a political goal are directly or indirectly affected by events and processes in the international arena, such as local conflicts and wars, the rise and fall of great powers, economic crises, diplomatic processes and political struggles. One of the most important factors that may have a direct impact on the scope of violent activities a terrorist organization will undertake is the degree of support and assistance that the organization receives from state sponsors of terrorism. This support can take the form of political-ideological indoctrination and guidance, economic and military assistance, training and supplying of weapons, and operational assistance in terrorist attacks. Any change in the degree of support the organization receives from the supporting state is likely to directly affect the organization’s ability to carry out violent acts. The actions of the state confronting terrorism: One of the key factors influencing the scope and dimensions of terrorism is the steps taken by the state or states afflicted by terrorism. These actions are reflected in ongoing security measures intended to prevent terrorist attacks, as well as offensive counterterrorist operations against the terrorist organization, its infrastructure, facilities, members and leaders. The effect of the supportive population: Terrorist organizations that strive toward various political aims grow and work out of a population whose goals they claim to represent. This population serves as the organization’s main pool for recruitment and support. The organization uses the population to recruit members, receive aid and supplies, find shelter, and the like. A sympathetic population allows for a terrorist to behave like “a fish in water,” as Mao Zedong once said. Any change in the degree of support and sympathy that the organization gets from its population of origin may therefore have a direct impact on the scope of the organization’s violent activities and on its dimensions. The inter-organizational factor: Often, several terrorist groups seeking the same or similar political objective grow out of one arena of activity. These groups sometimes split, and other times unite or cooperate in various areas. The relationship between these groups (personal and ideological rivalries, competition, or alternatively, cooperation) has an immediate and direct impact on the scope of a terrorist organization’s violent activities and on its dimensions. The internal organizational factor: One of the things that greatly influences the scope of a terrorist organization’s violent activities is the internal process within the organization. This process is influenced by, among other things, personal rivalries within the organization, the degree of institutionalization and functioning of the organization’s bodies, institutions and departments, the social cohesion of the organization’s members, the nature of the organization’s deployment, and more. All of these factors simultaneously affect the motivation of the leaders and members of terrorist organizations to carry out attacks. However, alongside the rational cost-benefit considerations of terrorist leaders, terrorist attacks may also be carried out by inspired individuals due to their emotional predisposition, which is amplified through deliberate incitement and radicalization. Feelings of alienation, frustration, anger and vengefulness may underlie the decision of this or that activist to join a terrorist organization or volunteer to carry out an attack. The motivational component is only half of the “terrorism equation,” which also includes the element of operational capability. It may be that a terrorist organization will seek to carry out attacks, but will not be able to perform them. The absence of operational capability may be the result of a shortage of money, a lack of weapons or fighters, difficulties related to measures taken against the organization, and more. The effective fight against a terrorist organization therefore requires dealing simultaneously with the two variables that make up the “terrorism equation” – the underlying motivation for terrorist activity and the operational capacity that allows for the realization of that motivation. Finding the delicate balance and synergy between these two variables is a most difficult task but it is necessary in any attempt to achieve an effective counterterrorism strategy.